The original No More Room in Hell, or NMRIH, was released as a mod in October 2011 before its official stand alone release in October 2013 after almost 7 years of development. Set in a zombie apocalypse, the player assumes the role of one of eight remaining survivors, with a focus on co-operation and survival. 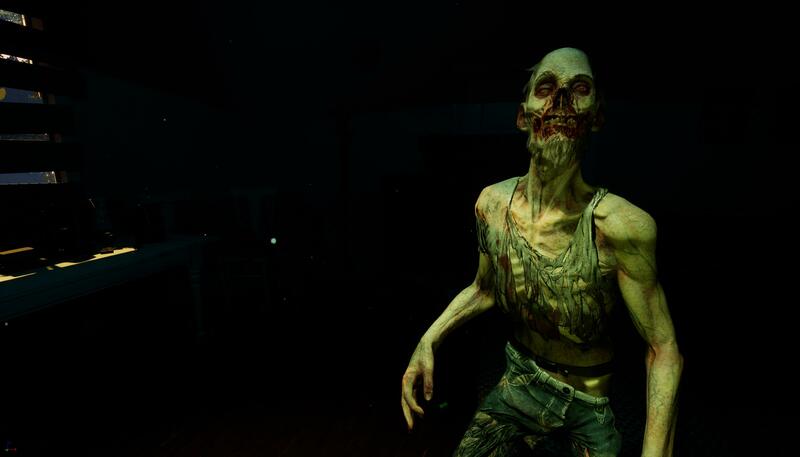 The game can be played through “Objective” or “Survival” mode and is heavily inspired by George Romero’s Living Dead series. After this co-op zombie game’s success, developers, LeverGames, have decided on a sequel. No More Room in Hell 2 (NMRIH2) is hoping to have an early access playable build ready some time in Q3 2017 or early 2018. It was back in 2014 that the developers announced their intentions to create a sequel but it wasn’t until they saw the potential of the Unreal Engine 4 that they felt they were ready to start production on the follow up. They haven’t been wasting time however, as the intervening years have been spent working and designing whilst tinkering with the Unreal Engine 4 and learning its capabilities. The above teaser trailer was released in October 2016. In an F&Q forum for No More Room in Hell 2, LeverGames declared that their initial focus will be on a Survival mode, leaving the story and campaign for later. Little more information is available right now, aside from a recent February devblog, where the developers discussed the potential of in-game NPC survivors and shared screenshots of some of the antagonists players will be facing. The story seems to feature the outbreak of a virus that has “3 key stages of progression with very different archetypes”. An interesting approach. Don’t leave me hanging dude! The first stage of the virus amplifies the host’s strength and agility as it converts body fat into muscle. They become stronger, faster, agile, aggressive and gain heightened senses. What makes it interesting is this process requires a lot of extra calorie consumption which means this stage, while obviously dangerous, is not permanent. It’s hard to tell how this will effect gameplay so early in development but it seems to indicate that the zombies will not be in ‘fixed states’. Does this mean that some of your colleagues or other humans may become infected as you play? Will you then be forced to make some tough and fast decisions if you suspect someone has been bitten? If someone ‘turns’ or you meet a runner are you able to hide or avoid them until the virus burns through their body and ‘evolves’ into stage 2? Honey, have you seen my black trousers? If a runner doesn’t consume enough calories, i.e people, their muscles deteriorate and they transition into the Walker stage. Still capable of short bursts of speed when attacking but ultimately limited in their movement and agility. They can still hear a pin drop from a mile away, so any gun fire and explosions will draw a terrifying horde. At least these guys suffer from poor eyesight. It wasn’t me, who ever smelt it dealt it! The final stage is the Shambler, as the name suggests these flesh sacks aren’t very mobile but are potentially the most dangerous as they have become highly contagious. There is a mention of filter masks being necessary to reduce the risk of infection. This is interesting, especially as killing one creates a biohazard in the immediate area. Their state of decay means they omit a potent odour helping them distinguish the smell of the living from the dead, if they get a whiff of your Davidoff or Coco Chanel they will emit a high pitched screech attracting Runners and Walkers! LeverGames didn’t share a picture of these tiny terrors but explain that due to their reduced calorie need they will stay fast and limber for longer but not at the same level as their adult counterparts. All of the zombie’s will get randomised clothing as well as equipment like riot helmets and body armour giving them greater resistance to damage which has the potential for some really challenging runners! 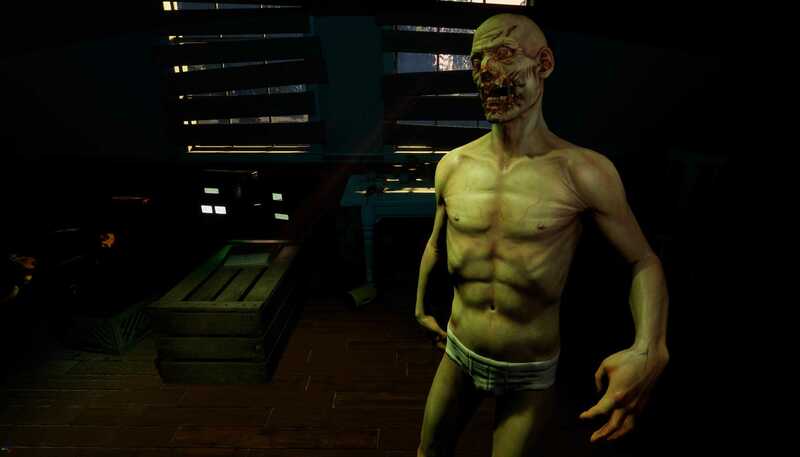 It’s unclear at the minute as to whether Walkers can revert back into runners should they get access to a lot of human flesh, but looking at the decayed state of the Shambler it looks as though it will definitely not be the case for them. 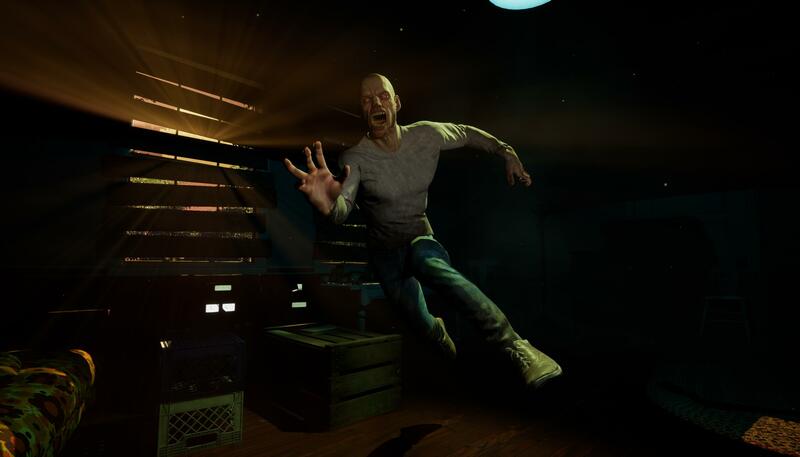 It is far to early to ascertain whether No More Room in Hell 2 will be as successful as the original, but it appears that the team has certainly taken the time to consider its approach and have beefed up its numbers in an effort to deliver a seemingly bigger follow up. We are waiting for more information about the core mechanics, will there be crafting and how deep will it go? There are plenty of KOS style multiplayer survival games out there and if this sticks to the original’s focus on co-op play it may have retain a refreshing differential. There is also talk of stretch goals including the introduction of friendly NPCs with an alignment system. Perhaps giving the option to gain allegiances or perhaps create enemies in game? As always only time will tell, we’ll keep you posted with any updates here at Survivethis.